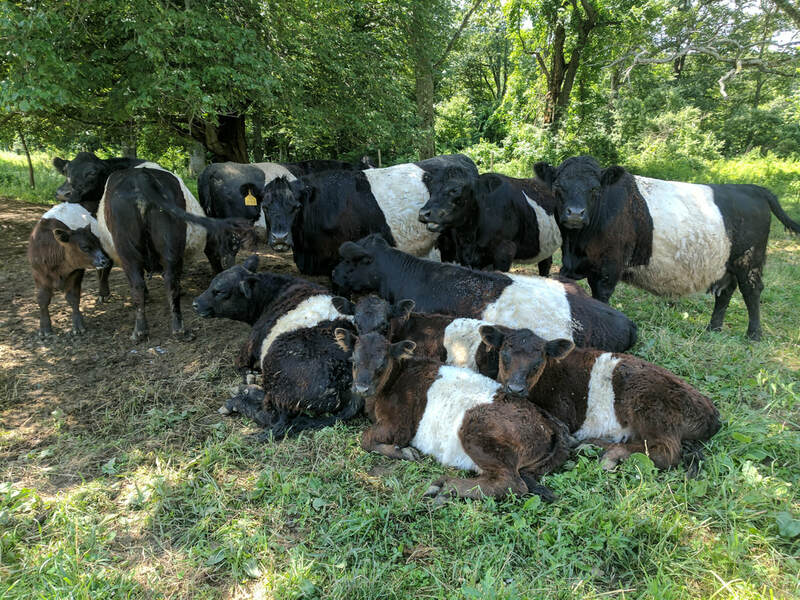 Our "Belties" are grass-fed and grain-finished. 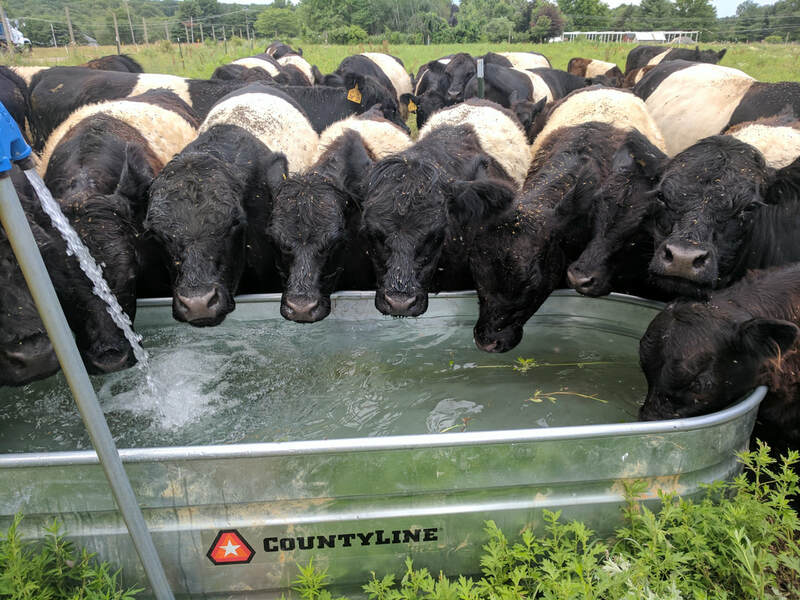 We raise our cattle with absolutely no use of hormones, antibiotics, or steroids. Our steer are grain-finished on non-gmo barley. 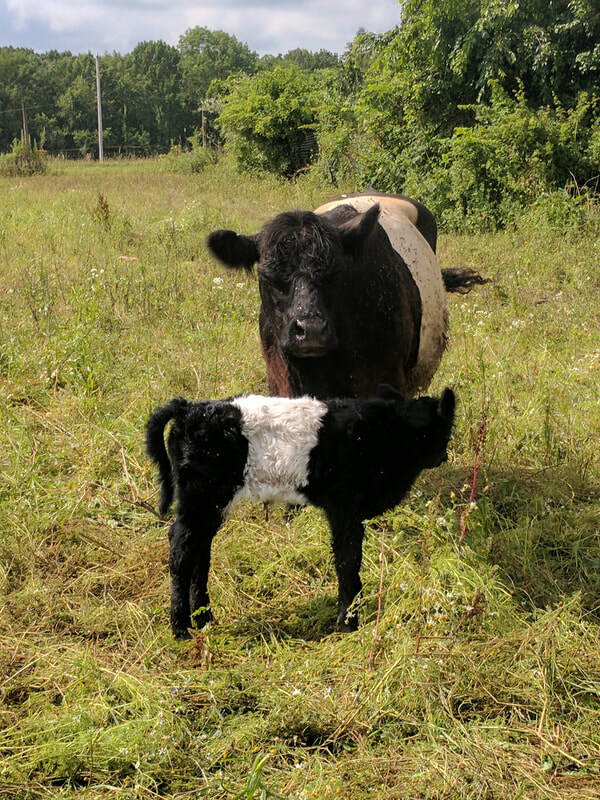 This year we welcomed 13 calves, all direct descendants of our prized bull, pictured above. 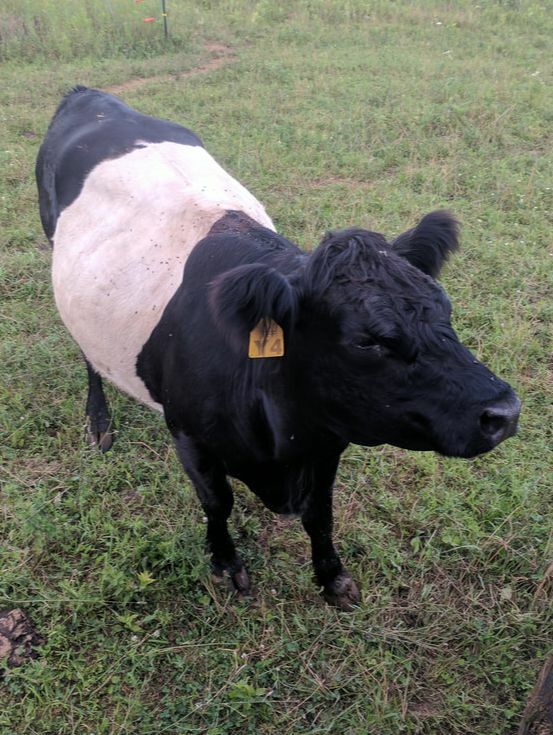 ... is also known as the "Oreo Cow"
... has a coarse outer coat and a soft undercoat, allowing it to survive cold harsh winters with ease. 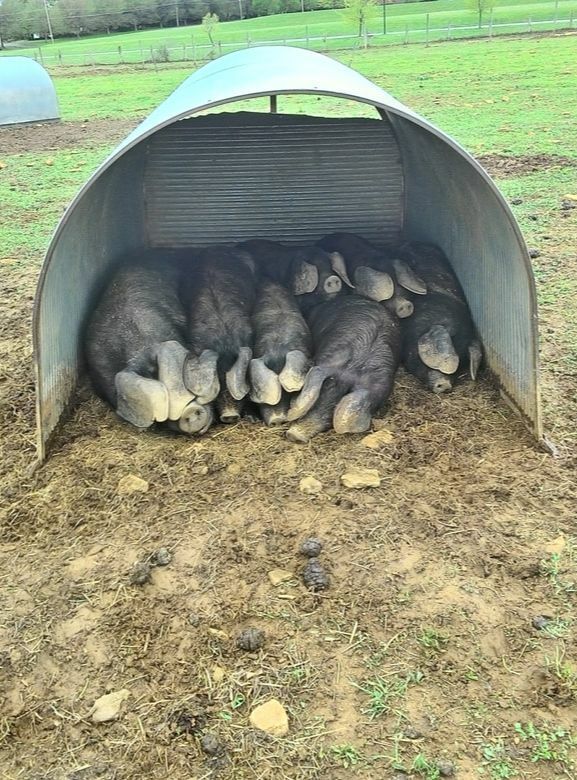 Our "Large Blacks" were raised on pasture and now roam the Oak forest in search of acorns and other offerings. 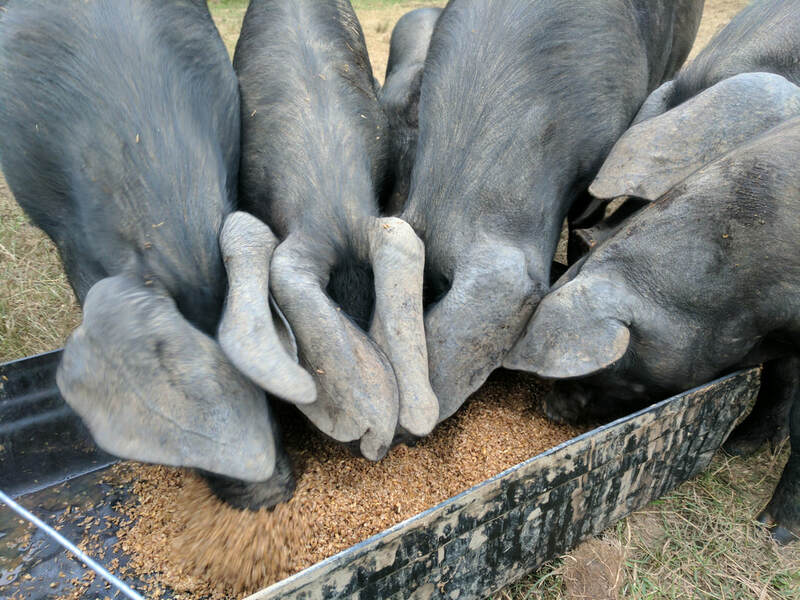 Though our pigs primarily forage on the pasture or forest, we supplement their feed with non-gmo barley and discarded organic produce from our local business partners. 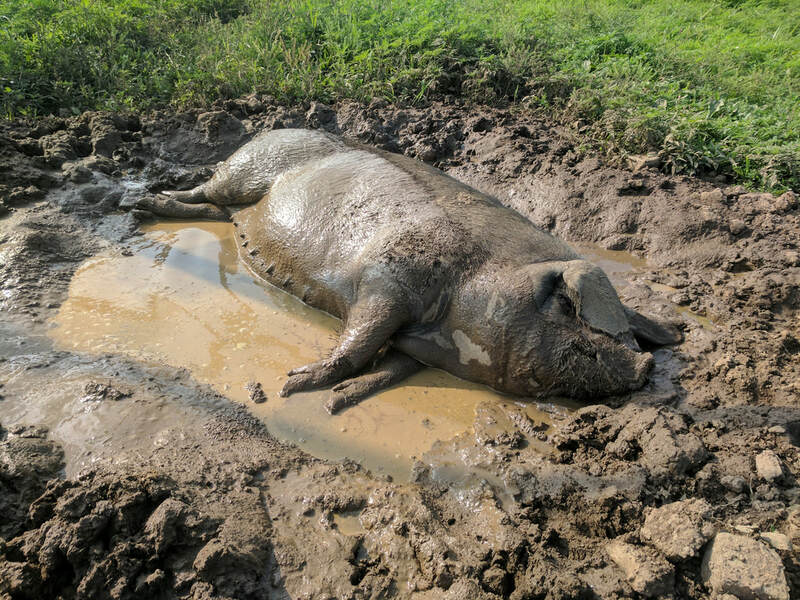 Pictured above is our Boar, Sammy. 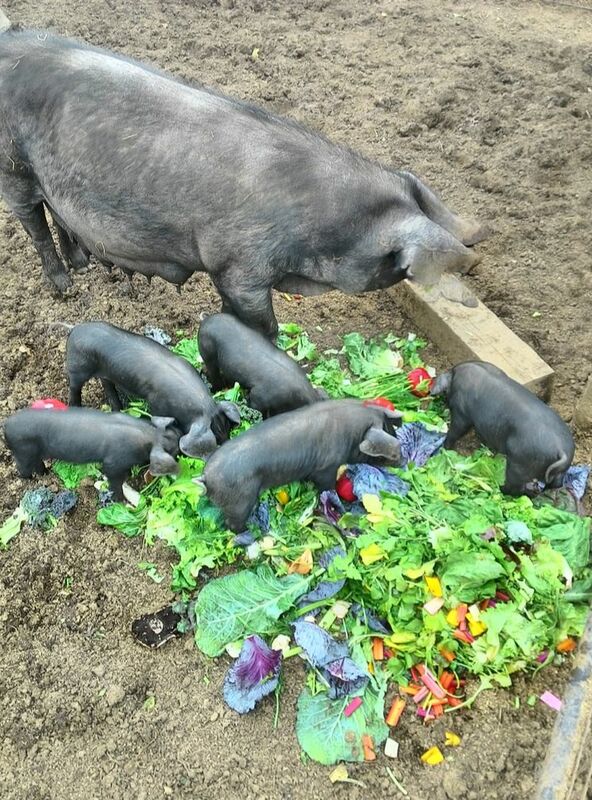 He helped produce 8 little piglets this year.